The Systec deltaflowC was developed to meter air and other non-explosive and non-corrosive gases in pipes and channels in a very precise, cost effective manner. 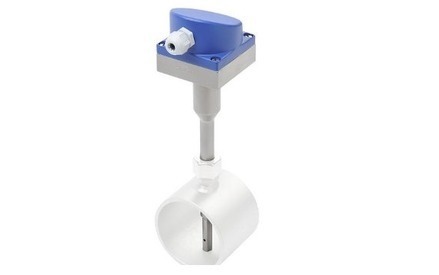 The Systec DeltaFlowC features the smallest and fastest multi-variable transmitter for mertering mass flow of gases. DeltaFlowC operates according to the highly precise differential-pressure metering method. 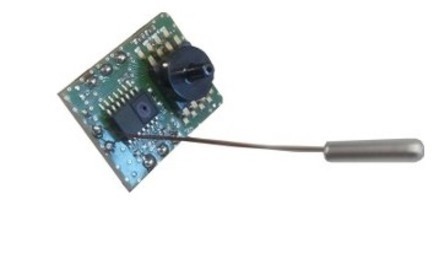 Extremely fast sensors for differential pressure, static pressure and temperature, as well as a powerful microcontroller are intergrated in the transducer in an area of just a few cm2. All you have to do is weld the stud on the pipe and cable to the transducer and that's all there is to it! Simple setup, no programming just Dip switches. Thanks to modern microcontroller technology, DeltaflowC offers an outstanding high zero point stability, a large measurement range, high accuracy and high measurement dynamics. DeltaflowC compensates the influence of pressure and temperature on the measurement and provides the (compensated) mass flow to the user. Unlike other measuring methods, such as thermal mass flow meters, DeltaflowC is particulary resistant to condensation and dirt deposits. Together with the automatic zero-point correction, this make the DeltaflowC virtually zero maintenace and zero drift. The Systec DeltaflowC is available in two accuracy classes. The standard type offers an accuracy of 4%. 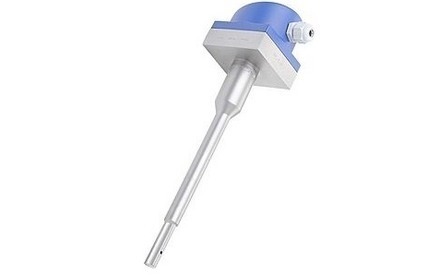 DeltaflowC is also available as calibrated probe with a calibration certificate and an accuracy of 2%.